The idea of using a child theme is to give the user the ability to modify theme files to customize it. Also, you can add new functionality while the parent theme remains untouched and can be updated without loss of changes. If you purchased and installed a theme and now you are want to make some changes, you should do it through a child theme. Save your modifications and get them to work after update is almost impossible if you’ve modified the theme directly. Where to get and how to install a child theme? When you buy one of our themes, in addition to the main theme, you get a child theme. You can find it in the archive that contains all the theme files in the “Theme Files” folder. Can I edit the template files in the child theme? In our themes all the basic layouts are contained in this folder ( theme name folder/layouts ). All the additional layouts you can find in this folder ( theme name folder/warp/systems/wordpress/layouts ). If you want to change something in one of these files, just copy it to the child theme and save the folder hierarchy. 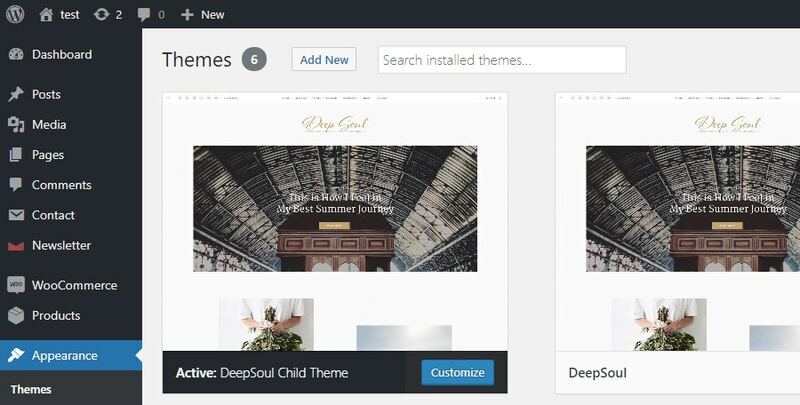 For example, you need to change the layout of the single post page, just copy the file from the main theme ( theme name folder/warp/systems/wordpress/layouts/single.php ) to the folder of the child theme ( child theme /warp/systems/wordpress/layouts/single.php ) and you can edit it.